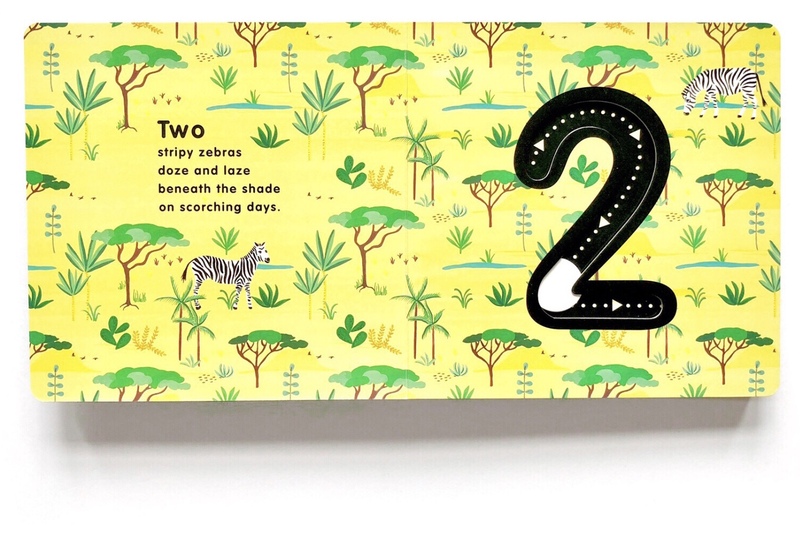 Both these titles come from the catalogue of Words&Pictures, which is a high-quality imprint for young children, started in 2012 at Frances Lincoln Children's Books, before it became an imprint at Quarto Group in 2014. I like their vision and commitment to create beautifully crafted books that are also interesting objects to use. Although there is no direct link between their publishing choices and the Montessori pedagogy, I find that the Montessori inspiration in their vision is quite strong. The imprint focuses on three main values: imagination, innovation and inspiration. Opening a book should open a child's own imagination to possibilities and encourage them to create, not imitate, inspiring them children to discover, ask for more books, more information, more of life itself. 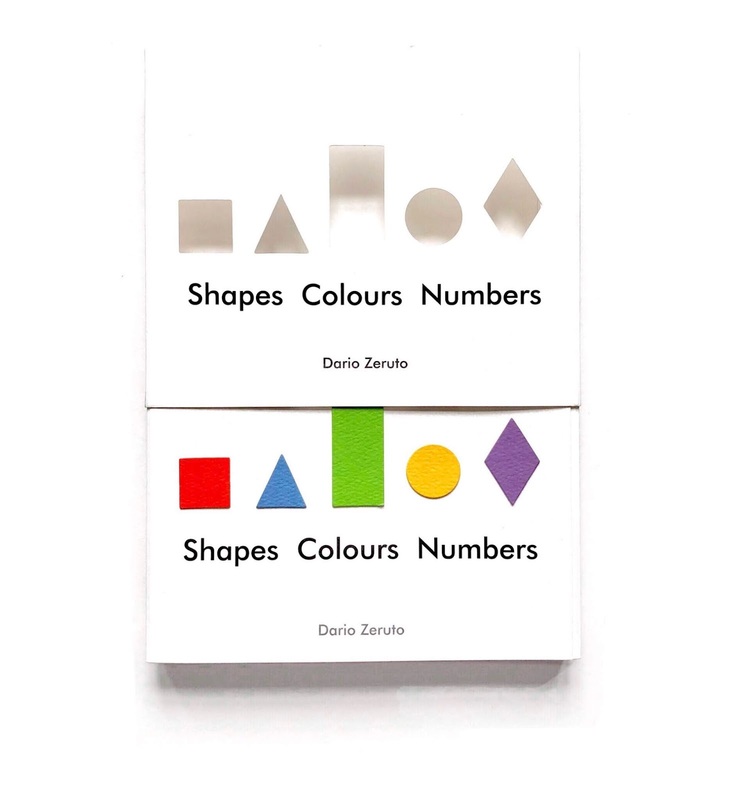 Both books are aimed at preschoolers (3-5 yo, but I would offer them slightly earlier) conceived to require minimal intervention from the parent/carer, to allow child-directed play. 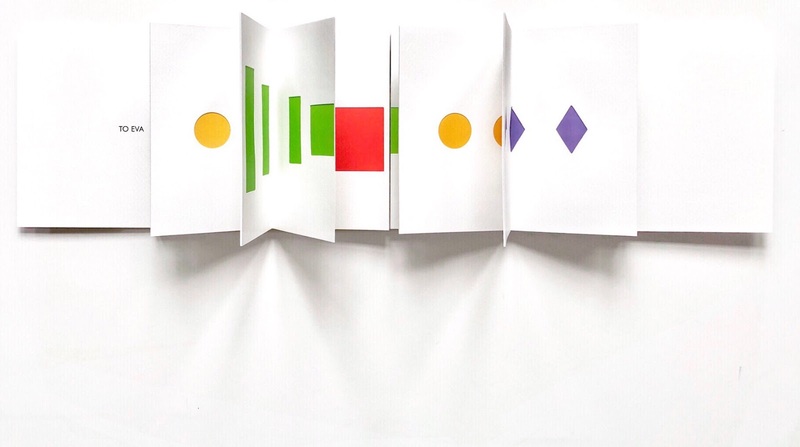 They are a sort of pre-books (in a Munari-inspired way) for children who can't read or write yet, and focus on interaction, visual stimulation and tactile learning. 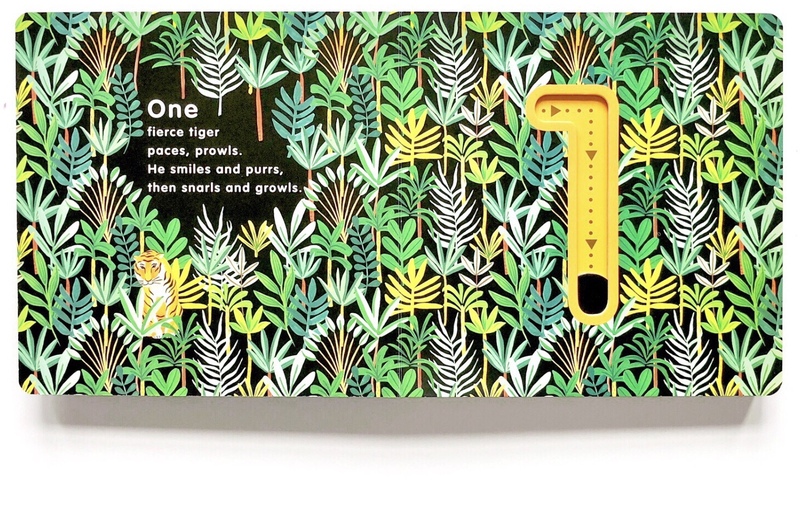 5 Wild numbers is a nice, big and thick board book featuring hollow numbers from 1 to 5 (ideal for children 2-3y who are learning to count) on colourful jungle-themed illustrations. 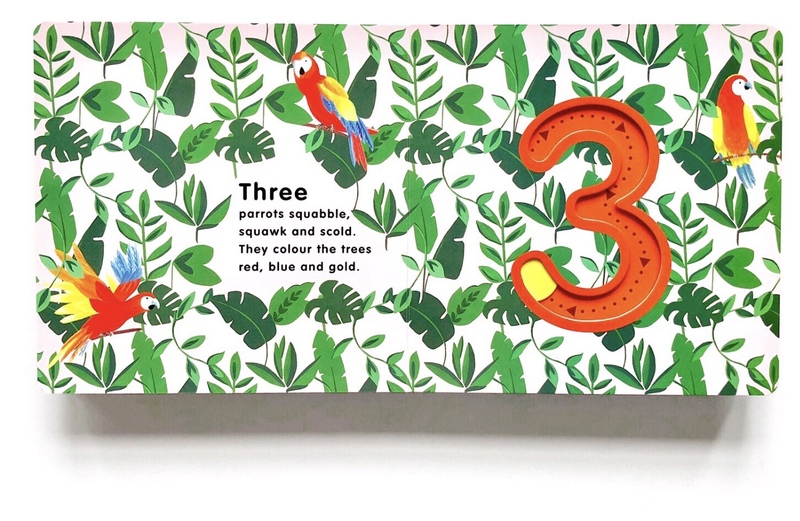 The child is encouraged to point at the animals in the image (count) and to place his index finger on the sliding disc tracing the number (write). This happens naturally, the adult can (or cannot) decide to accompany the play by reading the text in rhyme on each image. The authors freely applies the idea of sandpaper cards to illustration: these are letters of the alphabet and numbers that have been cut out of sandpaper and mounted on thick cardboard on wood, that are used in Montessori classrooms (Children's Houses 3-6) to teach letters and numbers as a preparatory activity for writing. The child would use his index and long finger together to trace them on the card. The principle behind this is that the tactile experience stimulates the child's brain and memory more effectively than mere visual experience. How many shapes and colours can you find inside? 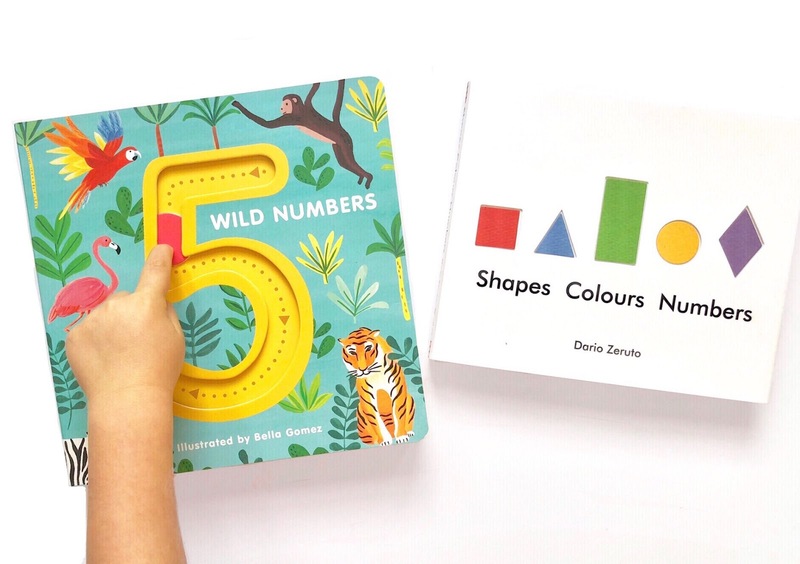 the child is encouraged to freely explore the book, matching the pages and trying different combinations, naming shapes and colours and possibly getting to count them. The game is child-led, and when the child feels in control, rather than being directed, which also feels intimidating, he learns. "By making patterns, by hybridizing forms and counting the flat treasures of their own, the children who play are absorbed by the book and will be taught in the best way: invisibly. " Dario Zeruto was born in Havana, Cuba, where he graduated in Mechanical Engineering at the Higher Polytechnic Institute. Since a very young age he start to train in fibre art, also inspired by indigenous women the Suriki island, Bolivia, where he learnt old weaving techniques. Since then, he kept researching textile techniques as well as volumetric paper art, in the belief that the book is an object with its own ways of artistic expression. He has exhibited in Spain, France, Italy and Serbia. He now works between Barcelona and Milan. Alongside his artistic activity, he organises didactic workshops in public and private institutions in Italy, Spain and Switzerland. About attachment and Independence: What does the crocodile say? Why not draw for a child?